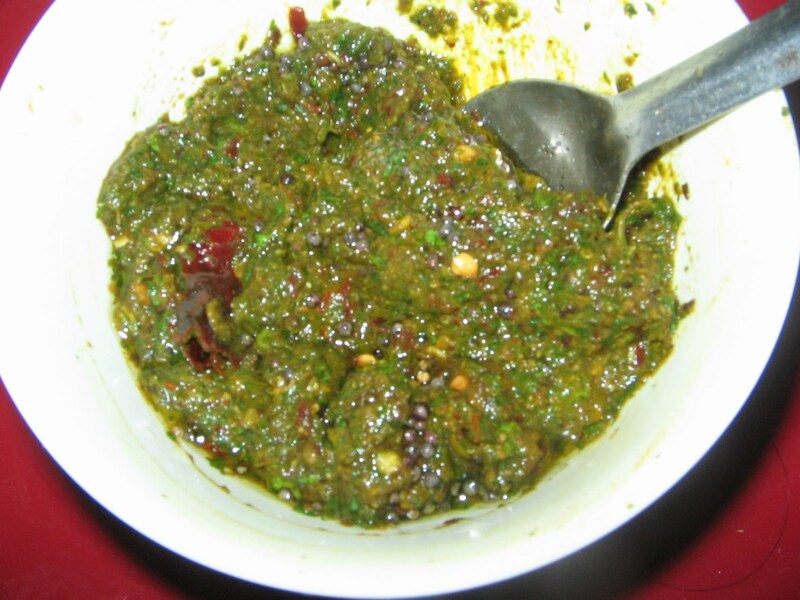 Kothmeer chutney is a very delicious hot and sour and tasty chutney with goes well with hot rice. Wash kothmeer leaves well for 4 to 5 times. Pluck only leaves and discard the stems. 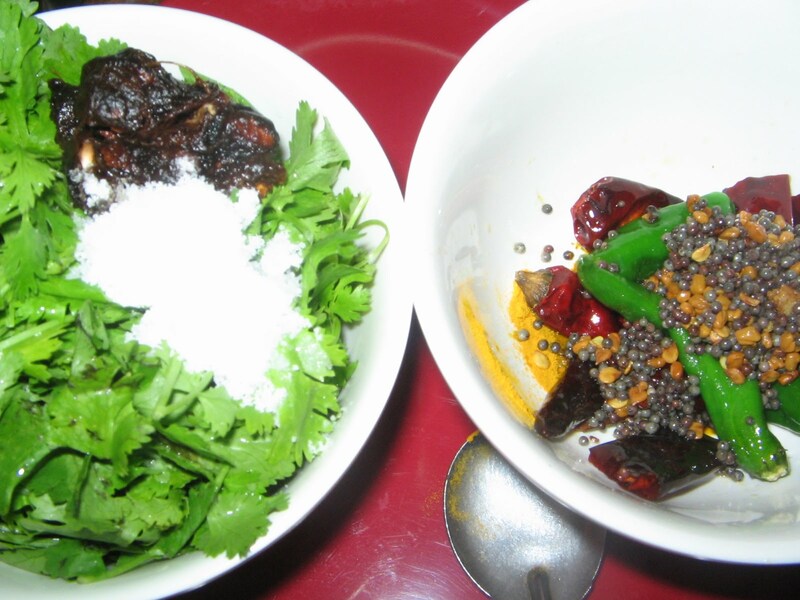 Place a pan on the stove,add oil to it.And after the oil is heated add the mustard ,methi seeds and redchillies.After they splutter add the remaining items,green chillies hinf,and haldhi.And mix well.Switch off the stove. Grind the seasoning along with tamarind and salt well.Donot add water. steamed hot rice ..It will stay for a week if kept in fridge..
New to me.. Looks interesting..
healthy n colorful dish...love to giv a try soon.